We provide in-house, US-based support. 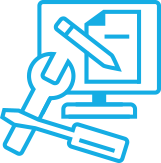 Our comprehensive installation and implementation services include offsite and onsite training options, system installation and configuration support, document configuration and upload support, and an ongoing support and maintenance plan. 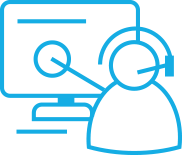 Our dedicated and in-house help desk support staff is available to answer your technical questions and to provide best practices recommendations as needed. Once a client, you can purchase additional training or creative design services, and you will have full access to our HospitalPORTAL Academy—a self-service support portal for your products. Full system installation and configuration performed completely by HospitalPORTAL, often with little or no intervention from your IT department once remote access is provided. We handle the training for you! Department managers come away with the knowledge they need to publish and maintain their own pages. Includes webinar training for remote or offsite staff. We support your power users in creating their initial pages and placement of content. This support is always based on best practices and lessons learned from past installations. If you need to extend the capabilities of your system we offer customization and integration services. We also have a Portal Development Kit which allows your developers to create custom add-ons using our framework. Our designers will create a custom look for your site based on your specifications, branding guidelines and any images or graphical elements you desire. 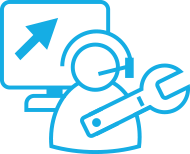 Technical support includes maintenance, feature enhancements and best practices assistance. Our support department is standing by to provide any assistance. 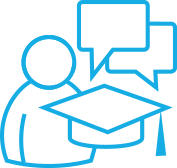 Once a client, you can enjoy our self-support portal, HospitalPORTAL Academy which is full of training resources, how-to videos, getting started tutorials, and learning guides at your fingertips. HospitalPORTAL offers an array of additional services to help you maintain your products successfully and encourage staff use. Our content management, disaster recovery and database assistance services can help keep your systems healthy and fresh. The HospitalPORTAL solution can be installed on your servers or hosted on ours. 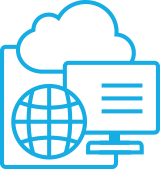 We offer a fully-serviced, hosted solution for both our Intranet product and our stand-alone Healthcare Policy Management system. 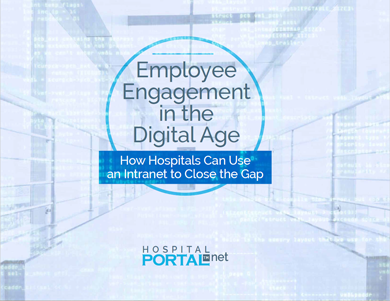 This eBook outlines key concepts on how-to use an Intranet to build stronger teams, boost employee morale, and increase staff collaboration. Find out how your hospital can improve interactions between its staff. An outline of all of our value-added services. An example of a typical project deployment timeline. We will provide you with a dedicated project manager to personally guide your hospital through any potential problem areas and to recommend best practices. Technical support includes maintenance, feature enhancements, and best practices assistance. Our support department is standing by to provide any assistance. 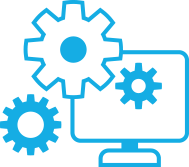 If you need to extend the capabilities of your system, we offer custom development and integration services. We also have a Portal Development Kit which allows your developers to create custom add-ons using our framework too. We realize that our clients might not have the time to manage their own content so we have created a service that will provide monthly content management, publishing, and editing for all types of content formats and mixed media. We have many different hourly packages available to fit your unique needs. We offer complete hosting solutions for those clients that do not want to install our solutions on their servers. With remote hosting, we can ensure your documentation is secure and fully backed up. We bring an in-depth understanding of the idiosyncrasies of healthcare and we provide solutions to the common challenges. 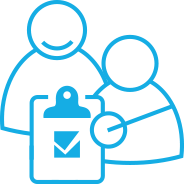 Our expert support team helps your team deal with tricky issues, from strategy and governance, to information security and privacy concerns. We offer annual support services so your team can contact us monthly for all support issues or additional training and product updates. We will work with the client's IT staff to confirm backups are correctly configured and then create a temporary site from the backups several times throughout the year. Database assistance is also available locations where there is a dedicated SQL server for HospitalPORTAL.